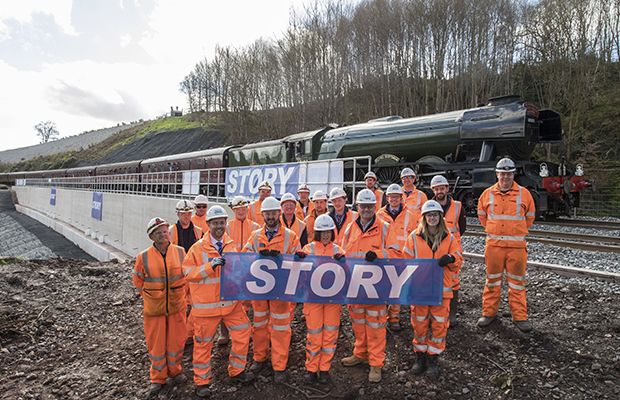 The works undertaken by Story Contracting’s Rail division at Eden Brows, which enabled to Carlisle to Settle line to reopen earlier this year, has been shortlisted for ‘Infrastructure of the Year’ in the National Rail Awards. Story and Network Rail will give a 20 minute presentation on the repair project to judges in London next week. Upon the completion of the works, the project was described as the most difficult repair job ever undertaken by Network Rail.